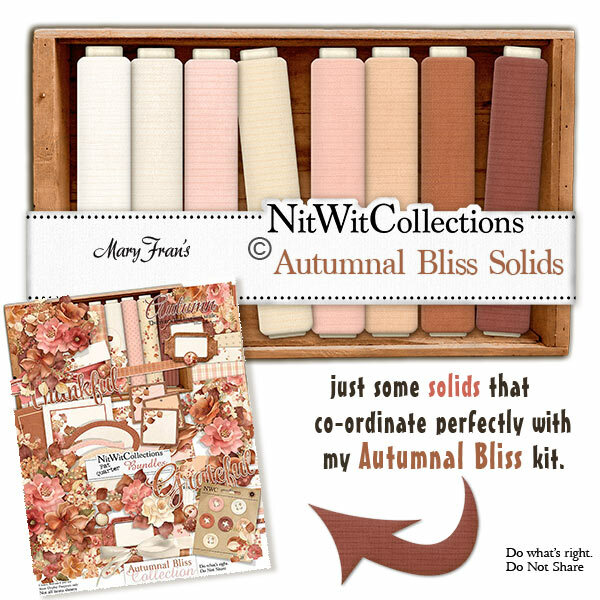 "Autumnal Bliss" Solids contain the very useful solid coloured digital background papers that coordinate with this digital kit. Set with a faint lined pattern these solid background papers are a must have addition when creating with this kit!! These digital papers are NOT included in the FQB "Autumnal Bliss" Collection so please don't miss out! This product was added to our catalog on Thursday 24 September, 2015.